Only in these days has it become known of this beautiful action made by our lovely Gianluca. On June 4, Gianluca went to a summer camp for the disabled and sang for them, here is the beautiful video that takes the scene. How much enthusiasm they have just seen Gianluca on stage and he has certainly not denied selfies and photographs. Also beautiful article on the event posted in the newspaper of Abruzzo, IL CENTRO, which I translate. Ginoble sings for three hundred disabled people, big party for the invited singer on a campus of Rotary Abruzzo-Marche. “It was a great emotion for me to see the smiles of those guys, an unforgettable afternoon”, said Gianluca Ginoble, singer of the “Il Volo” trio, who spoke on Monday afternoon at the Lido d’Abruzzo village at the invitation of the Rotary International Abruzzo-Molise. Gianluca was moved when he heard over 300 disabled people present in the room, singing “Grande Amore”, the song with which Gianluca, together with Ignazio and Piero, won the 2015 edition of the Sanremo Festival. As usual, these guys make us remain speechless for the simplicity and love they have for the weakest. Congratulations Gianluca, your goodness always amazes us. All of this happened a month ago and only now do we know it, this means that you do not like to highlight your actions, confirming your great humility and disavowing what some say about you. Your heart flies very high, sweet Gianluca. Once in a video I saw Gianlucca cry at the death of his dearly loved priest . His heart is big and serious. He impresses me with his motions and love in being serious as most Italians are. May his heart always be filled with love for his fellow man and all the adulation he receive not effect the truly humbleness in Gianlucca, Ignazio and Piero. I was truly touched by this article. Way to go! Never stop giving goodness to your fellow man, your rewards will be great in heaven. This is what we are commanded to do. Thank you for sharing this , it is so heartwarming to know that this love still exist in the world. RoseMarie Lamonte, I remember that video with Gianluca moved, remembering his parish priest, really touching. well said Rose Marie. We all feel that way. Literally in tears ! I didn’t think I could love any of our guys more, but I was just proven wrong ! Thank you for posting this ! Chris, every time these guys amaze us and move us. The speaks of not showing off your actions and remaining humble or yoyr acts are meaningless. Gianluca certainly lives his faith. What a wonderful thing he did, and not for publicity or financial gain, but because he is warm, caring, and giving young man. Yes, Barbara, Gianluca did a wonderful thing and certainly not for profit or publicity. suppose to say Bible speaks of……. Kelly, love the new look of the site. Very fresh and sharp. Good job! Kelly, I too join the compliments of Jane, really a great job. A very emotional article. 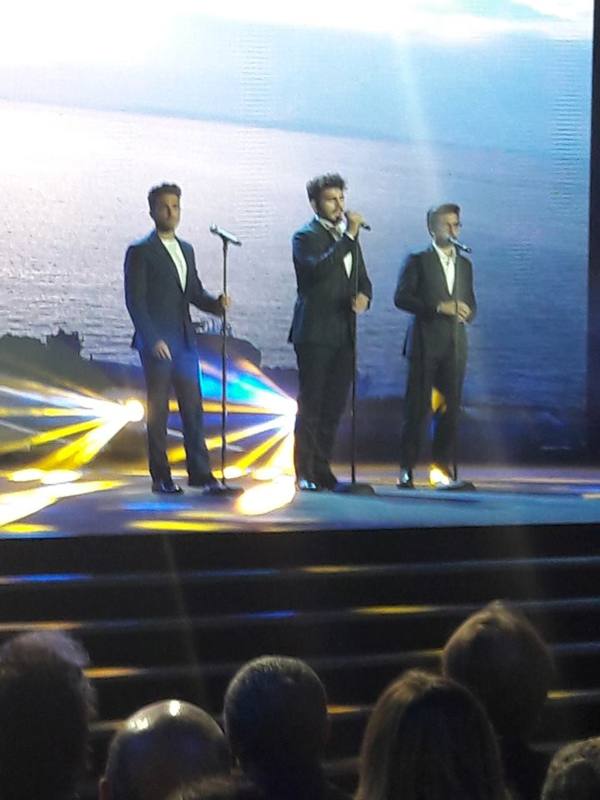 Such a pity the world doesn’t have more people in it like Gianluca, Ignazio and Piero. They are always doing some good for a good cause and they look for no adulation.Their reward is seeing the happiness on the faces of those they help.They truly are a great example to their generation. Kelly, a good job on the new site……..thanks. Marion, you’re right, I also hope that the behavior of Gianluca and Piero and Ignazio is an example for the young of the new generations. They need positive examples. Thanks Daniela. All three boys have a great heart and each helps people with their chosen events. Gina, these guys, have an innate sweetness and fill their ways of love, it is not possible to remain indifferent. How are you? A hug from Italy. Kelly… love the look of the site. Well done! And I was so moved by the generosity of Gianluca. Look at the smile on his face. All of those smiling faces. I agree that the boys never cease to step up when the moment arises and they are needed. Thank you for the touching pictures of a memorable day. I need a handkerchief. Victoria, these guys fill our eyes with tears, but our hearts of love. Yes, you’re right, his smile showed how happy he was in those moments. What a great thing to do! Gianluca is so sensitive to the feelings of others. All 3 of our boys are amazing young men. RoseMarie, you do not believe, that we are lucky to have met these 3 golden boys, and even more fortunate when we can verify that these guys are really like they show themselves to us? So many beautiful smiles, showing so much happiness. Gianluca you have a big heart ~ such a treasure! Ineke, Gianluca is a treasure to keep well guarded. It’s a pleasure to know that there are people like that. Exciting experience for all those attendees who were touched by Gian’s smile and spirit. I love how they rushed the stage just to touch Gianluca as if he were a rock star. Yes, Jeanne, it’s really nice to see the enthusiasm with which they welcomed Gianluca, and Gianluca was very involved. Bravo to Gianluca. Great job. Look forward to seeing you in late August. Thanks flight crew. this is a great post. Myron, how nice to see your comment. Our Gianluca is a golden boy. I know I’m indiscreet, but you say you’ll see the guys at the end of August, how wonderful, is it a guess or a certainty? I apologize for my curiosity !!! ooooooooooooooohhhhhhhhhhhh….!!!! this makes my heart smile. Happy to have made your heart smile, Cynthia. All of these beautiful words from those before me make me admire and cherish Gianluca more than I already do. I am so in awe of this humble, giving, caring, loving gentle man. His quiet way, impeccable presence, debonnaire style, generous heart and genuine feeling as he shares his beautiful gift are all his own, and he gives of himself freely and with patience. A new world of music and life has opened up for me through Gianluca, for which I am very grateful. 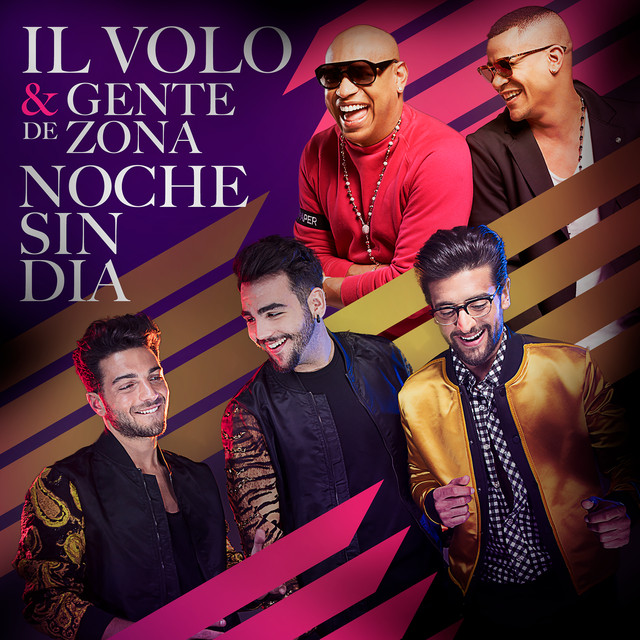 I have a full heart, and I remain a forever follower of Il Volo and Gianluca from America with much love and devotion. In this hour, I pray for God’s blessing for those affected in the terrible tragedy in Genoa and for all of Italy.